We love cakes - designing them, baking them, decorating them, eating them. It's what gets us up in the morning (that and the very good coffee). We make all sorts of cakes, from giant wedding cakes to serve 200 to macarons and mini cakes for parties. Whether it's a simple iced sponge cake for tea, or a special birthday cake with a bespoke message we can help you. There's more information below, or email orders@fitzbillies.com to discuss what you need. Most of our cakes are designed specifically for an individual wedding, based on the tastes of the couple and other elements of the wedding: flowers, colours, theme, dress, jewellery, etc. 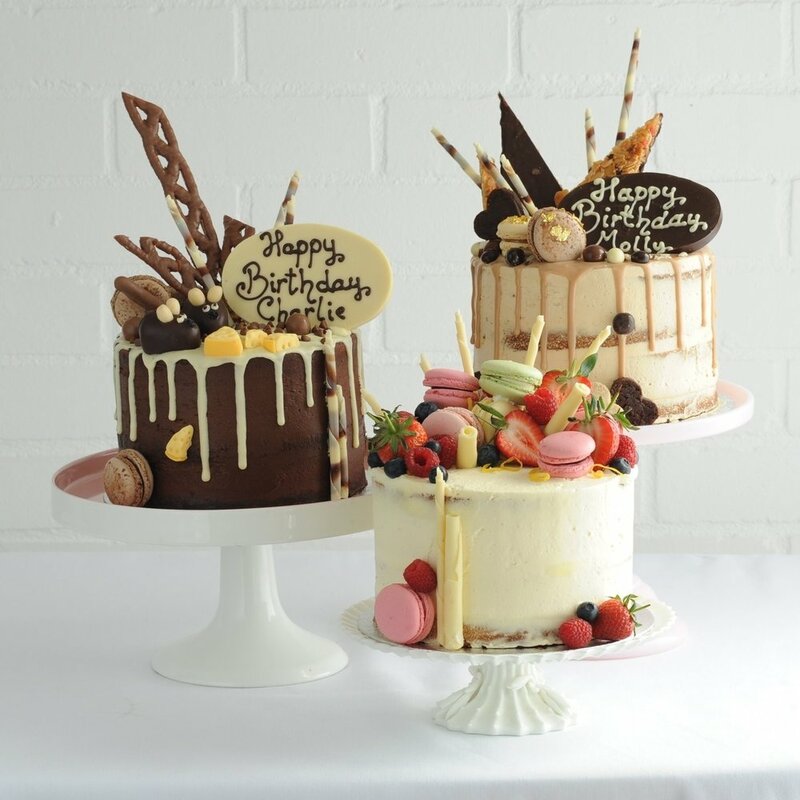 We make a huge variety of cakes to celebrate birthdays, anniversaries, christenings, graduations and corporate successes, from simple sponge cakes with a piped message to elaborate show stoppers. Lots of our cakes are specially designed for a particular occasion so please get in touch to tell us what you have in mind. From a whole desert table to a selection of beautifully decorated cupcakes, there are lots of ways to create a centrepiece for your party.